Who says blondes have more fun? 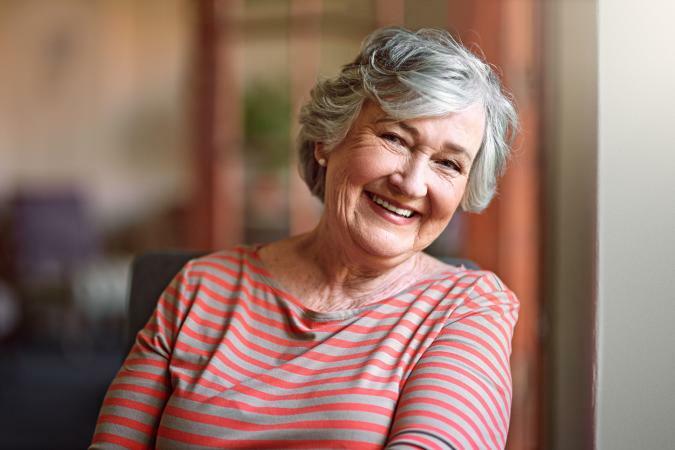 Whether you are going for a new look or just trying to ease into your gray tresses, dyeing gray hair silver is trending. 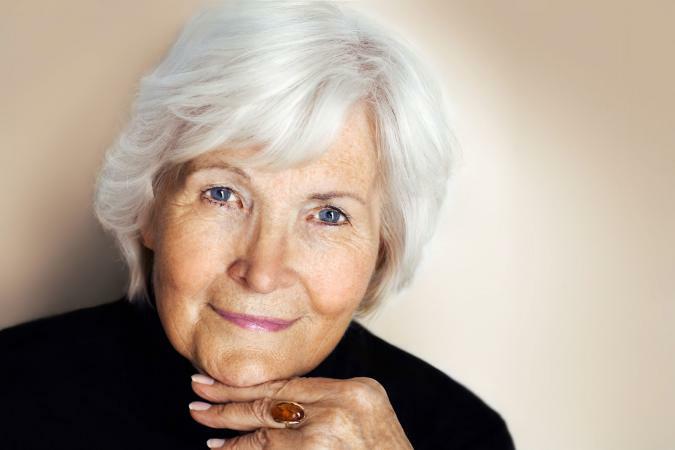 Delve into the world of how to make gray hair silver and the best products to use. Ion Color Brilliance Permanent Creme hair color in Chrome is a blue base hair color, which means it will lend a cool tone to the silver color. This color is enriched with pequi and argan oil and has long-lasting color in a low ammonia formula. This color is PPD (paraphenylenediamine) free and is formulated with a combination of pigments that give a luminous, polished finish. It must be mixed in a ratio of equal parts with Ion Sensitive Scalp Developer in 10 volume. The developer contains wheat germ oil to help hydrate the hair. Both can be bought online on in the store at Sally Beauty Supply for less than $7 each. Artic Fox Semi-Permanent Hair Color in Sterling is a 100 percent vegan dye that offers long lasting color. It is free of harmful chemicals, ammonia, peroxide, ethyl alcohol, and PPD. It conditions your hair and restores vibrancy. Artic Fox is a perfect starting point if your hair is more pepper than salt and you are unsure if coloring is right for you. This product can be purchased through Amazon for less than $11 and includes free shipping. Pravana Chromasilk ColorLush Hair Color in Silver Fox (9S) is a demi-permanent hair dye that contains Omega-9 oil in a low-pH formula. This product is a deposit-only dye and is free of ammonia and MEA (monoethanolamine). It offers rich color, improves the integrity of the hair, and gives hair a multidimensional high shine. This color must be mixed with Pravana Chromasilk ColorLush Activator in equal parts. These products can be purchased online for less than $10 each. There are a few reasons you might want to color your hair silver. The salt and pepper look with white and silver hair can make a man seem distinguished and influential. Silver highlights added along the sideburns can give men a commanding appearance. Women can get a dark gray base color, or their natural color, and work in sporadic highlights of silver to create a unique style. Keep the highlights heavier around the face and through the top of the hair for a more natural look. A permanent silver hair dye, such as the Ion Color Brilliance mentioned above, will give you four to six weeks of beautiful silver hair. After six weeks, you would need to use the same color on your roots as they grow. If you have been coloring your hair and the gray roots are showing, consider adding silver highlights to blend the gray better. Working in silver highlights through your hair will allow you to return to your natural color gradually. Highlights can be done with semi- or demi-permanent or permanent hair color. While this is easier to let your stylist do for you, there are several ways you can do it yourself. You can pull your hair through a cap, but this can be painful and frustrating if you have long hair. You can dip a wide tooth comb in the hair color and paint it on your hair. You can use a brush or bottle and do a balayage. Just remember to wrap each section with foil, so you do not end up coloring all your hair. To dye your hair silver requires stripping and lifting the color from your hair, a process that is similar to bleaching. Read the instructions on the box and follow them exactly. Mix the dye and apply it to all your hair, or ease it through particular strands if you are adding silver highlights. Leave the dye on according to the box instructions. Rinse the hair dye from your hair and be sure to condition your hair. Follow the package directions for reapplication of the color. After you have achieved your perfect silver hair, show off your new hairstyle. Going silver can help you either achieve a gray you love or help you make the transition from your natural color to a more mature color. You may have to adjust your makeup as well to go with your new style.